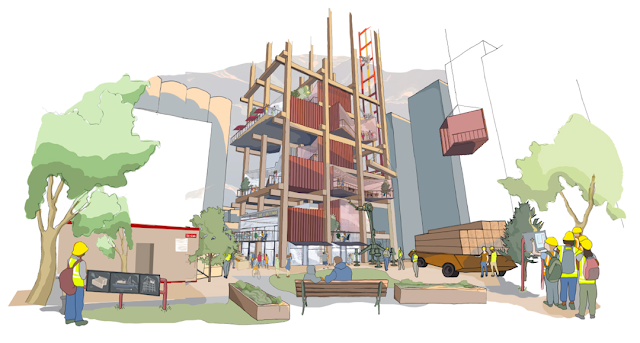 Sustainable Built Environment site with news, ideas, tools, guides and projects within urban sustainability, sustainable buildings, sustainable facilities management, and sustainable materials. This indicates some of the very significant challenges being faced by schools in relation to water and sanitation. One way of addressing this to investigate alternative sanitation models, such as the use of composting toilets, aqua privies and onsite biological systems. These alternatives avoid problems associated with flush toilet (such as large-scale water consumption) and pit latrine (the risk of contaminating groundwater) systems currently used in many schools and have some valuable advantages. Please feel free to contact us on studies, tools and papers being developed in this area. Having developed and applied a range of tools to reduce construction waste, such as specifications, contract clauses, construction waste management plans and monitoring and evaluation systems, it is possible to reflect on what works. Key to achieving less construction waste is having a local network of collaborators who reuse or recycle construction waste. In many areas, these networks are not well established and difficult to find. It was therefore fascinating to visit Urban Ore in San Francisco. 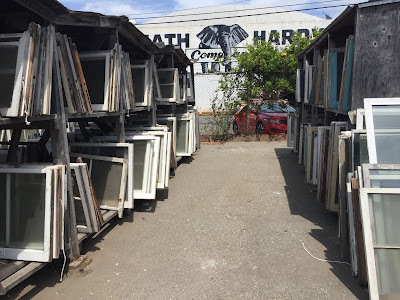 Urban Ore is a city block full of recycled building products. These are bought and neatly stacked on shelves and in yards enabling them to be sold and used in new projects. Many of these recycled products are in good condition and are a fraction of the price of new products. A large amount of waste is also avoided. Further detail on Urban Ore is available here. Sustainable buildings are not enough; they need to be within neighbourhoods that support sustainability. This is being reflected in an increased focus on neighbourhoods. In the US, a hospital faced with escalating costs associated with the treatment of patients moved beyond its borders to work with neighbours to enhance local facilities which improved health. In 2008, under Medicaid rules, the hospital became accountable for the health costs of people living in the area. This lead to the Healthy Neighbourhood Healthy Families initiative where the hospital worked with local organisations to develop more affordable local housing. It also improved education, healthcare, as well as developing a range of safety and employment initiatives. In Canada, Alphabet's Sidewalk Labs, are developing a district of Toronto into a prototype sustainable neighbourhoods. This explores new models for dense lower cost housing, enhanced local mobility based on walking, cycling, buses and trains and innovative energy, water and waste systems. 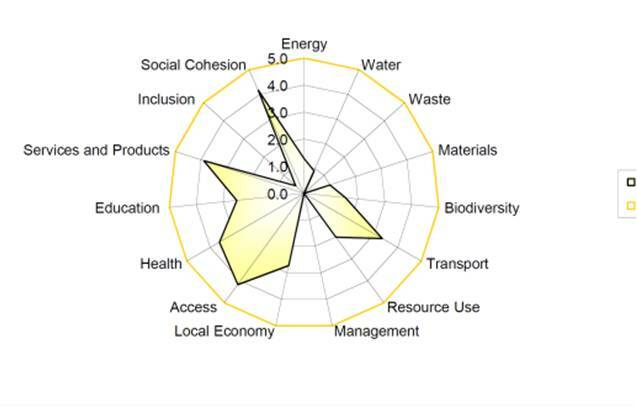 The Built Environment Sustainability Tool (BEST) has been developed to assess the sustainability of neighbourhood and can be used to support communities, local government and other organisations develop structured plans to improve the sustainability of neighbourhoods. The Water Assessment in Buildings (WAB) tool is a methodology and tool for assessing water equipment and systems in buildings. Design appraisals or walk-through assessments of buildings are used to evaluate proposed or existing water equipment and systems in relation to best practice water criteria within the WAB. 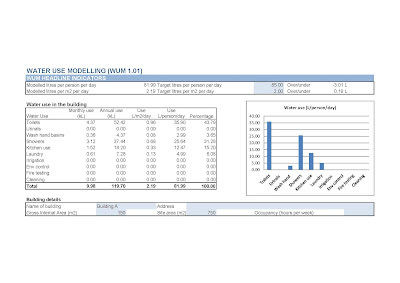 Water Assessment in Buildings (WAB) Excel tool. 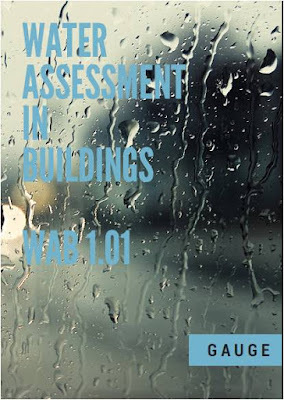 Water Assessment In Buildings (WAB) Manual on how to use the tool. Water Assessment In Buildings (WAB) Presentation on how to use the tool. Water Assessment in Buildings (WAM) Presentations on water use in buildings. 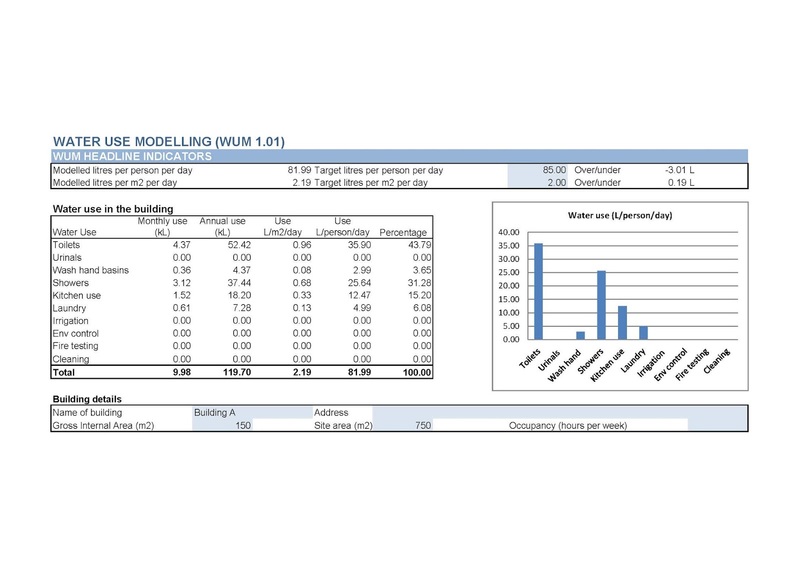 The Water Use Modelling (WUM) tool is a methodology and tool for modeling water use in buildings. Data on water equipment, systems, and usage patterns are entered into the tool to model water consumption patterns in buildings and present this in figures and graphs. Water Use Modelling (WUM) Excel tool. Water Use Modelling (WUM) Presentation on how to use the tool. Water Assessment in Buildings (WUM) Presentations on water use in buildings. The Water Evaluation and Monitoring (WEM) tool is a methodology and tool for monitoring and evaluating water use in buildings. 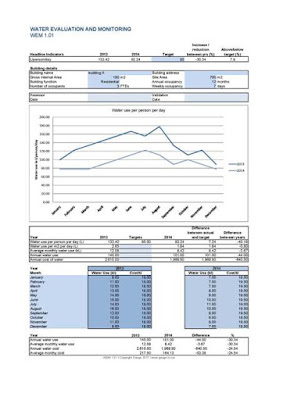 Data from utility and/or council accounts or logged water consumption data are entered into the tool to generate water use reports that can be used to evaluate and monitor water consumption in buildings. Water Evaluation and Monitoring (WEM) Excel tool. Water Evaluation and Monitoring (WEM) Presentation on how to use the tool. Water Evaluation and Monitoring (WEM) Presentations on water use in buildings. Sustainable Resilience or Resilient Sustainability? Copyright Jeremy Gibberd. All views are personal; not representative of any organisation. Simple theme. Powered by Blogger.